I’ve been a Borghese fan for years! It started out when I was in college. My roommate’s aunt was a “lifer” and gifted us both a full set of facial products to get us through the year. We both did NOT realize how lucky we were at the time. Oh, to be so young and so naive again! 20 (something) years later, here I am still such an avid fan of the brand. Their products are timeless and do exactly what they promise. And take it from me – someone who has VERY sensitive skin – you won’t have any unexpected breakouts or irritation using their line. That’s always a top concern for me when trying out a new brand. 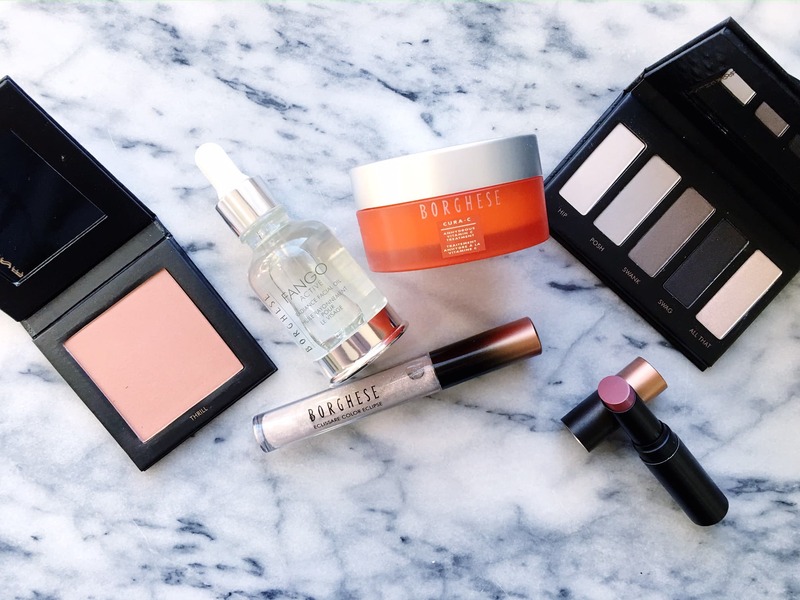 So, what products am I showcasing from the 2016 Borghese collection today? I want to start out with my FAVORITE. Fango Active Radiance Facial Oil: I am a girl who LIVES by facial oil. I use moisturizer on occasion, but I ALWAYS use serums and oils first. I have the least amount of irritation with these products. I’ve been testing out this Borghese product and I love it. A great way to hydrate your face day and night. Eclissare Color Chic Collection: The eyeshadow, lipstick and lipgloss are all part of a larger kit that’s currently available and it’s SUPER amazing! What a price too. The actual kit includes an additional eye liner and mascara. What a dream! Snag this entire kit (as shown above) for just $45. Eclissare ColorRise Blush: Last but not least, no look is complete without a little color on the cheeks, right? Concentrate on your apples and enjoy a fresh face all day long! All for a well-known line that has been loved by many for generations!